Burrowing owls are so incredibly cute when they’re little! Early morning shot; hence the big eyes. 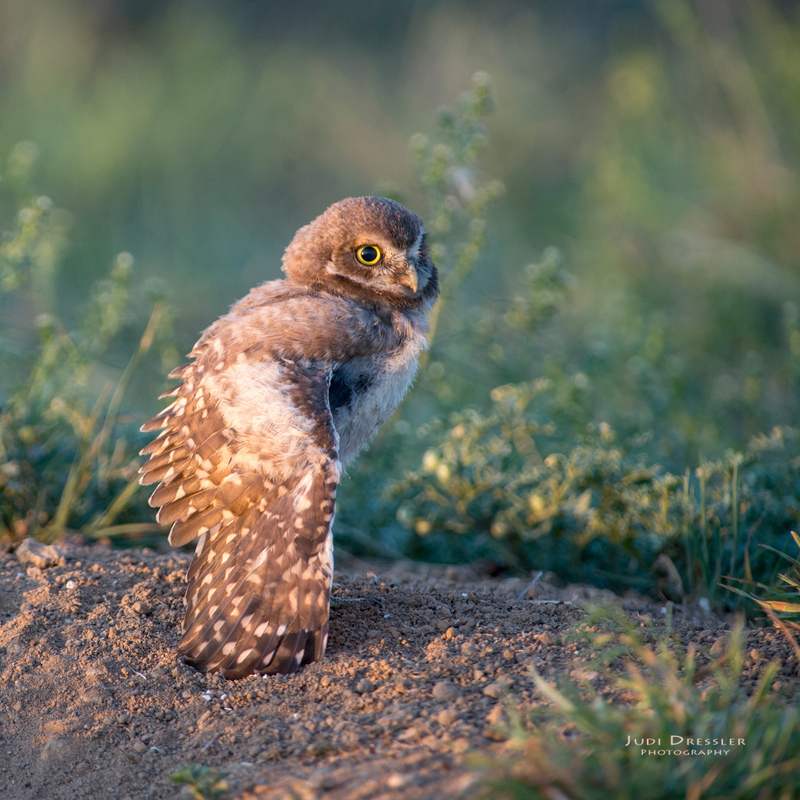 This adorable baby owl is one of four siblings remaining in a family of burrowing owls. She is being fed by her parents, but beginning to hunt on her own too, pouncing on bugs or anything that looks like it might be a bug, or something that may just be fun and interesting to pounce on! This photo was taken near Greeley, Colorado, on July 13th, 2017, at 6:14 a.m.